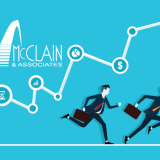 McClain & Associates has listened to our customers. We know that most of you know the benefits of intermodal conversion, however, you’re still a little wary due to MYTHS that are honestly, just no longer true. 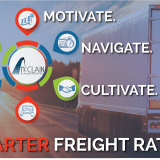 Rest assured, because this infographic will both put you at ease, and get you ready for intermodal conversion! For more information about our intermodal department, or to request a quote, please see our Intermodal Information Page. Click to Download Intermodal Mythconceptions: McBUSTED! nextAnnouncing the Launch of Our New Website and Blog!